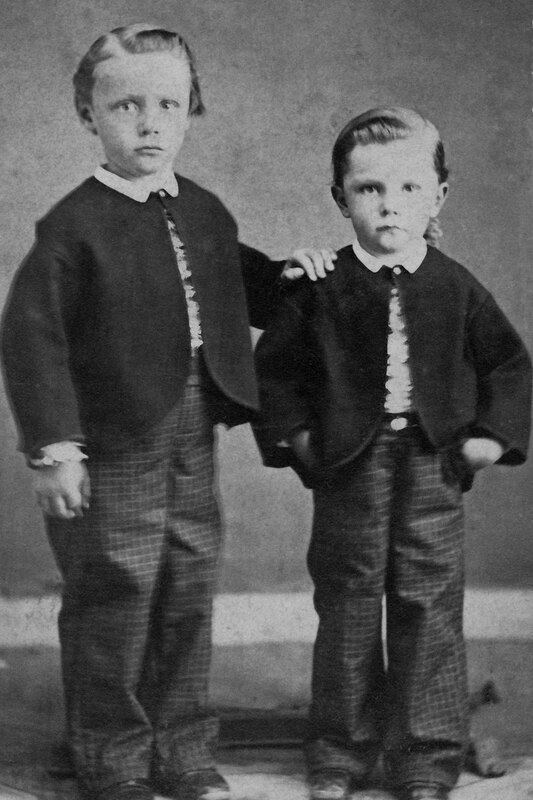 George and brother Frank (1863)George Edward Christian was born on 22 Nov 1858 in Berea, Cuyahoga, Ohio to parents Edward Christian and Maria Simons.1 George was the oldest of 9 children, 6 of whom were boys. 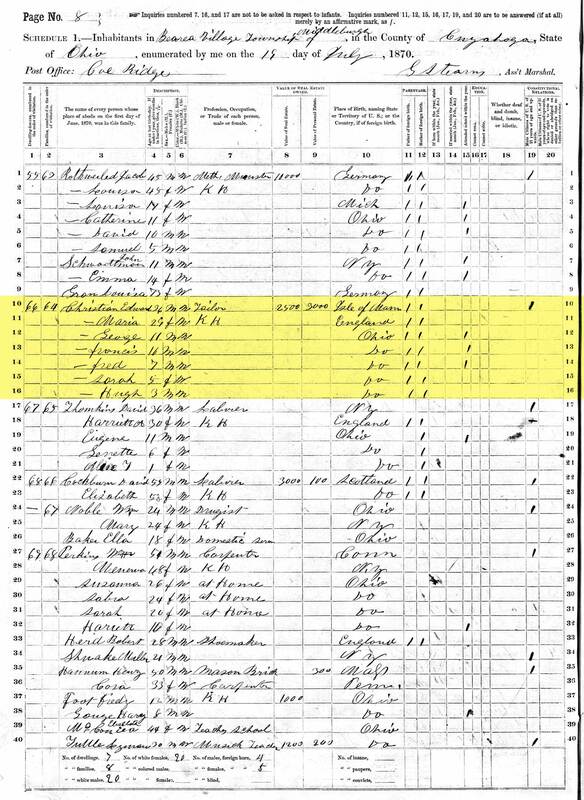 On the 24 Sep 1873, George lost his younger brother Frank to typhoid fever. George was only 14 years old and Frank was 12 at the time. This time had to be tough for George as Frank was undoubtedly his best friend. This wouldn't be the only tragedy to affect the Christian family however. 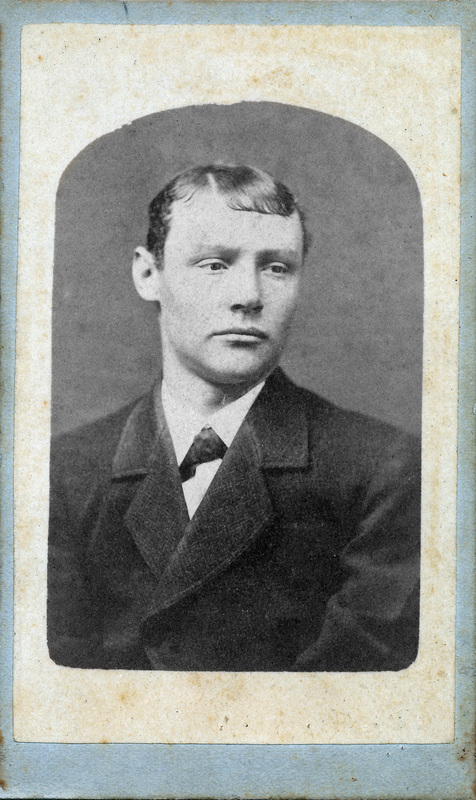 Four years later, in 1877, brother Fred (who was 3-1/2 years younger than George) was also struck by typhoid. He would never fully recover from the illness. 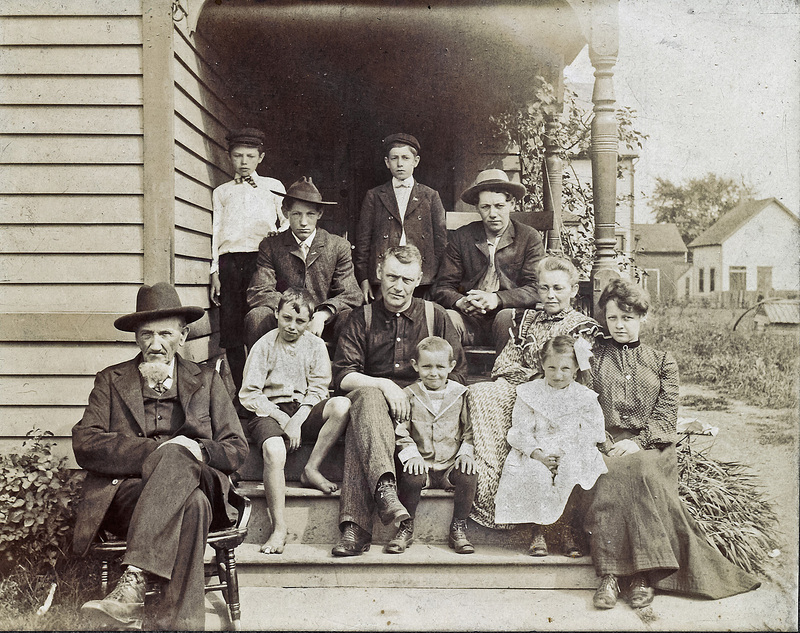 In 1881, his family sent him to Iowa to live with his mother's family, thinking the change in scenery/climate would help to improve Fred condition. This wasn't to be the case and after a while, Fred returned home. 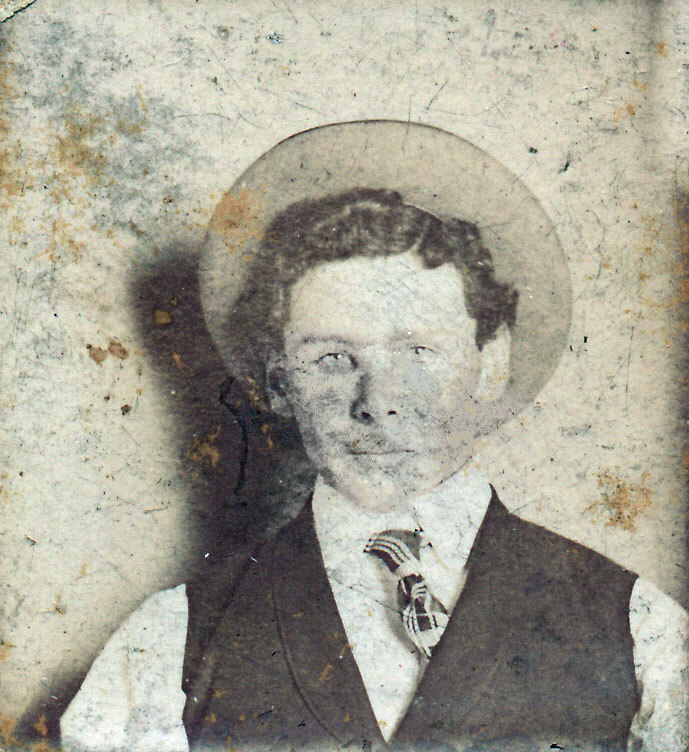 At the end of July 1882, around Fred's 20th birthday, a cold settled in his chest (lungs) and it never left. 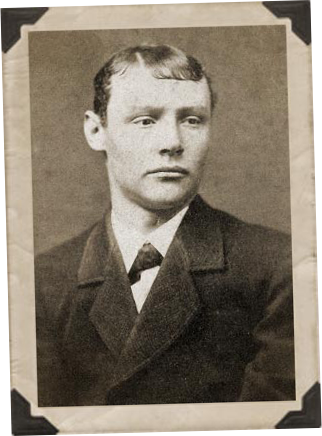 Fred died 27 Aug 1882. While it was recorded on 8 January 1887, a deed of sale for 11 Gregg St. from Samuel & Alice Barker for $250 was likely signed in the final days of 1886. 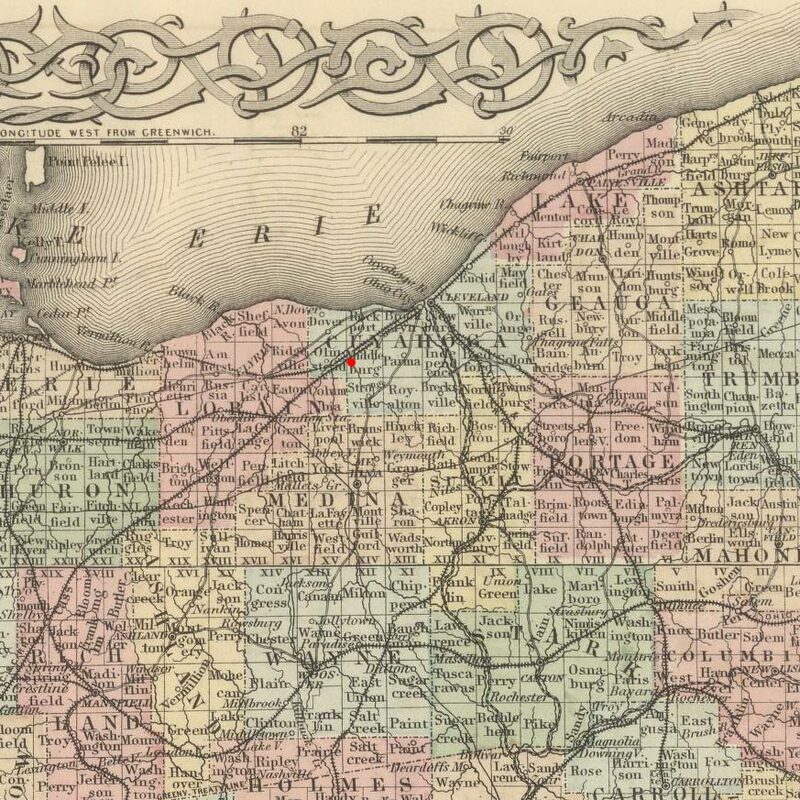 The property was otherwise known as Sublot 4 of Samuel Barker's subdivision in original Brooklyn Twp lot 56. 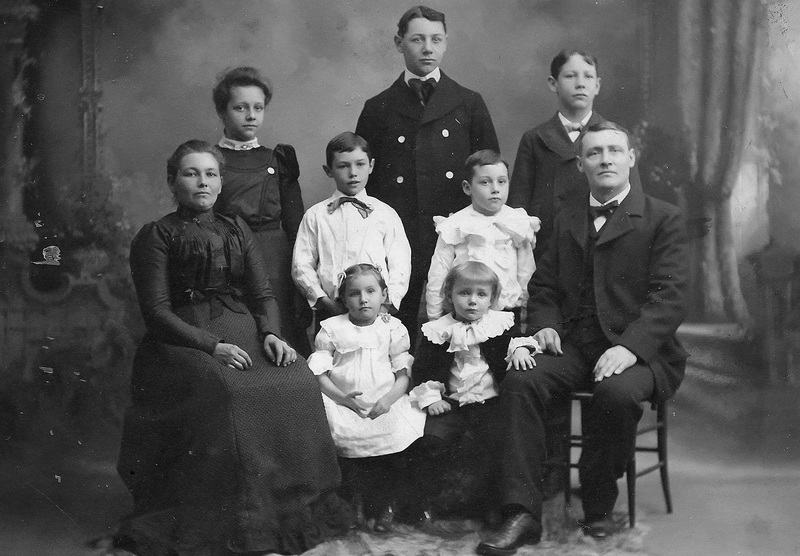 George (center) surrounded by his family (1903)On the 04 September 1903, the Christian family sold their home at 11 Gregg St. and moved out to Medina Township, Medina, Ohio (an area also referred to as Weymouth) and bought a house near the intersection of Old Weymouth and Remsen roads (as referenced by the 1910 census). Here George took up work as a General Farmer. 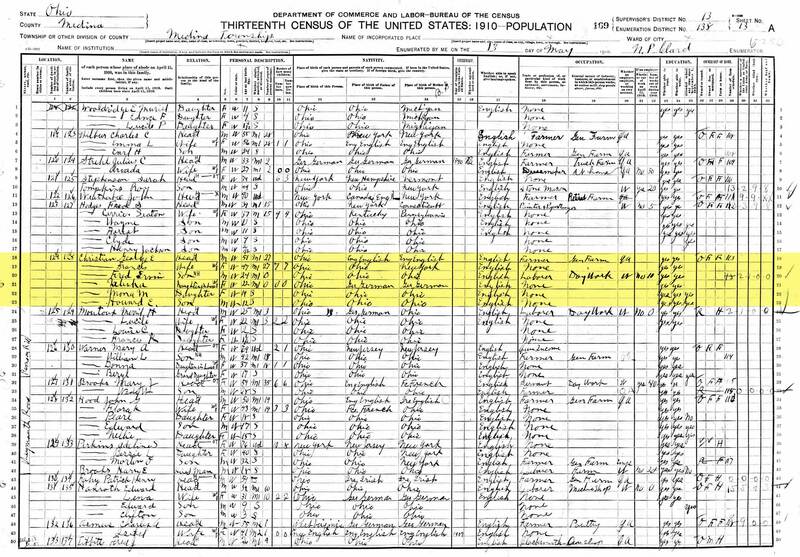 A I currently have nothing to confirm this by, but it's likely Merrill & Lucille moved out to Hinckley after George's passing. This window  was the same time frame that wife Frankie and children Mona & Pete moved into the village (now city) of Medina. B A machinist is to metal, what a woodcarver is to wood. They make and modify metal to make parts and tools. 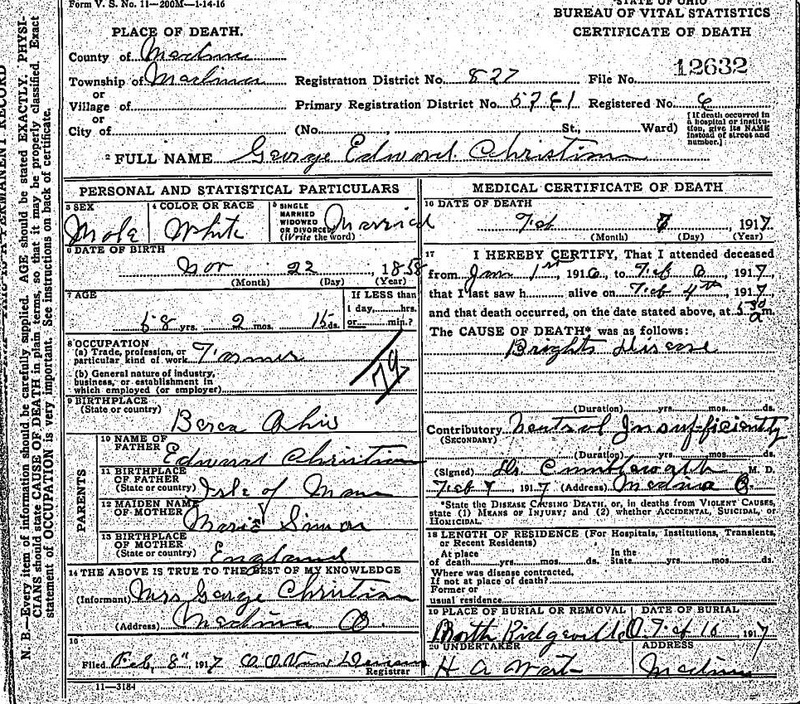 C While I don't dispute the accuracy of George's time of death (there are enough sources confirming he almost died 24 hours to the minute of his father), there are things that seem "off" about his death record, which is just a complete mess. The coroner didn't even know what day it was and wrote the 6th instead of 7th before making the correction. George was confined to the house and cared for in his final days, but daughter Alice, who is interviewed for the coroner, claims to not have seen him after the 4th. And the biggest issue is that the undertaker signs off on removal of the body to North Ridgeville. I believe this was to head to Ridgeville Center Cemetery where wife Frankie's mother and grandmother were buried and where George had purchase a plot of land. However, George's final resting place is in Berea with his parents on a large family plot that was also was confirmed via multiple local newspapers noting the passing of both father and son at the time. What was the reason for George and Frankie to move their family out to Medina? Was the move to Medina related to a direct attempt to improve George's health? Was his worsening health related to him working as a "machinist", thus switching to farming? George was "confined to the house in his final days". At the same time, his father was confined to his bed after a fall on the ice that led to his death. Did George know of his father's condition and eventual death (I assume he was unable to visit)? 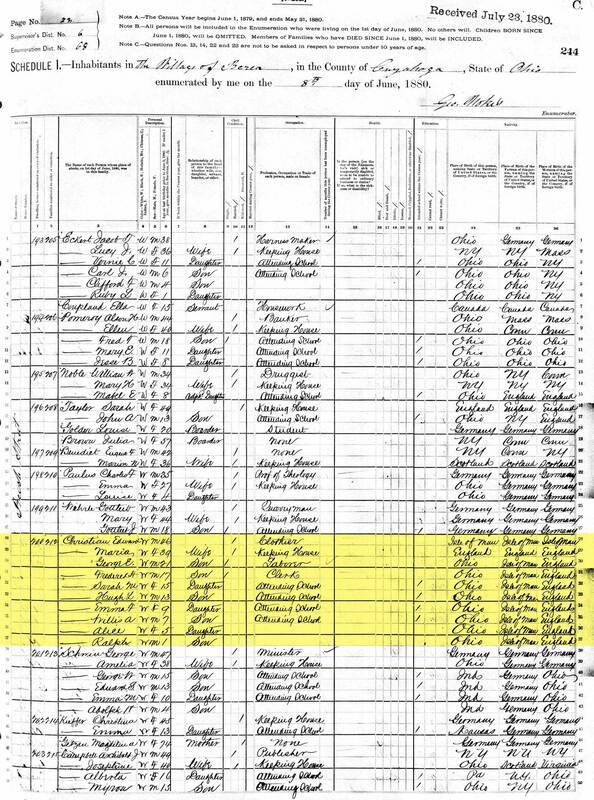 Why can't I find record of George's purchase of land in Medina County? 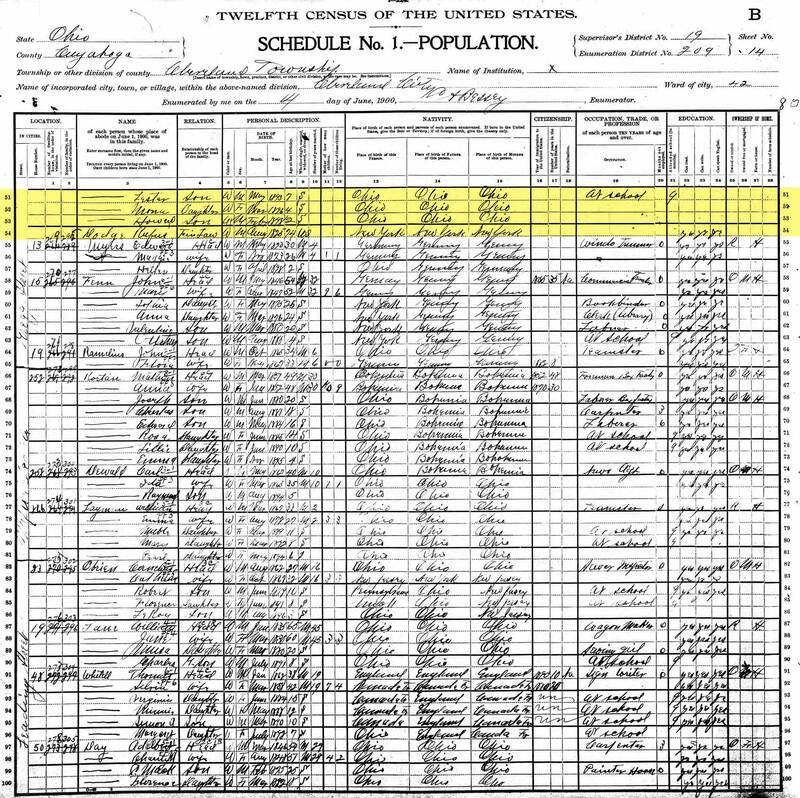 I have George's deed of sale in Cleveland and 1910 census says he owned his home in Medina. 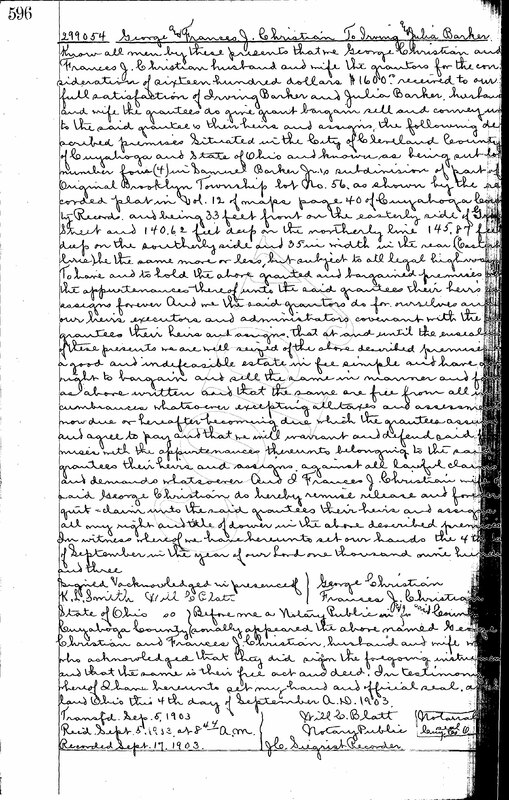 I also have deed of sale from wife Frankie in 1919. How is this possible if no record of purchase or will to transfer ownership exists? 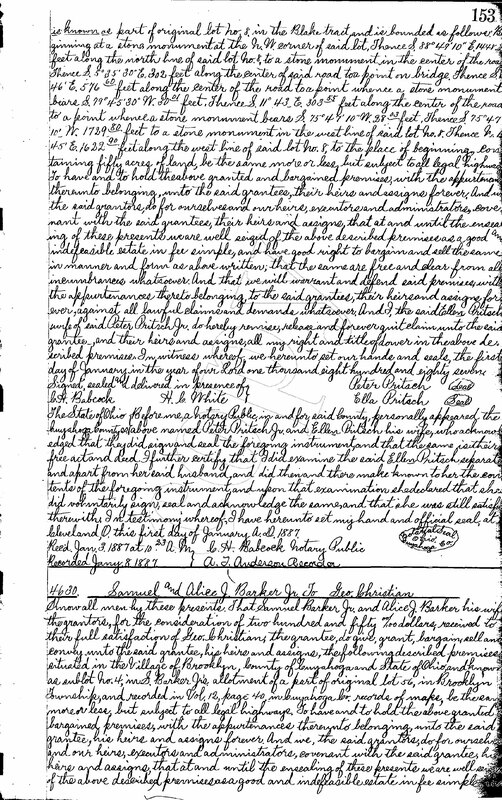 3 George Christian, "Ohio, County Marriages, 1789-1994"; "Ohio, County Marriages, 1789-1994," index and images, FamilySearch (https://familysearch.org/pal:/MM9.1.1/XZ2C-GXW : accessed 07 Feb 2014), George Christian and Frankie Dodge, 24 Feb 1883; citing Lorain, Ohio, United States, reference v 4 p 579; FHL microfilm 378293. 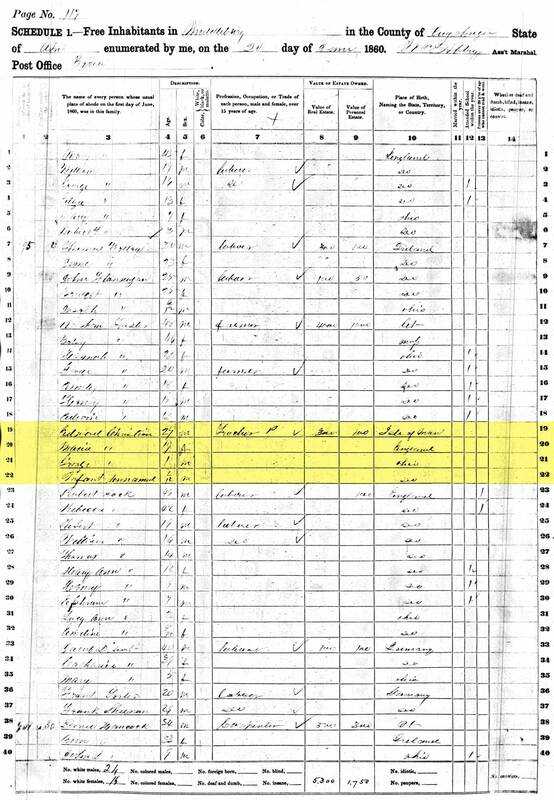 4 1900 United States Federal Census about George Christian; Year: 1900; Census Place: Cleveland Ward 42, Cuyahoga, Ohio; Roll: 1260; Page: 14A; Enumeration District: 0209; FHL microfilm: 1241260. 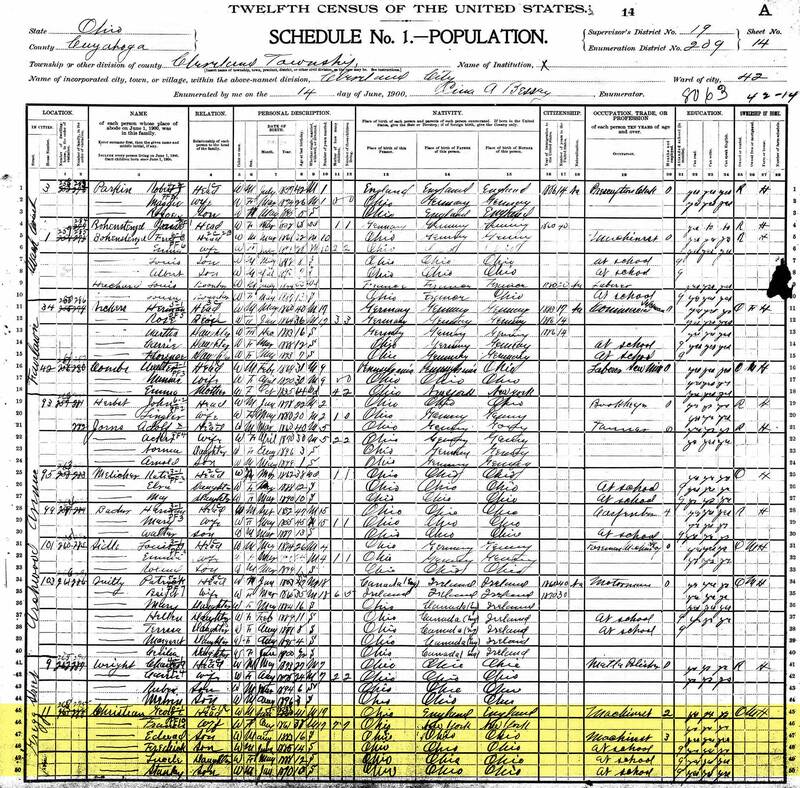 5 1910 United States Federal Census about George E Christian; Year: 1910; Census Place: Medina, Medina, Ohio; Roll: T624_1205; Page: 13A; Enumeration District: 0138; FHL microfilm: 1375218. 6 Obituaries of George and Edward Christian, 1917; The Medina Gazette Newspaper; Medina, Medina County, Ohio; Friday, 9 February 1917; Page: 1 & 10.